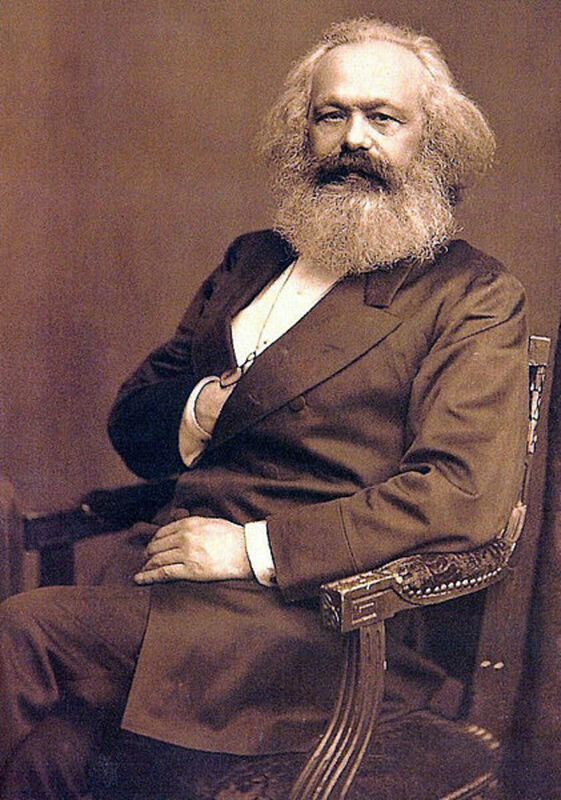 Throughout the 19th Century, the German born philosopher Karl Marx introduced to the world a wide array of ideas and beliefs that he hoped would remedy the economic and social problems facing society at large. 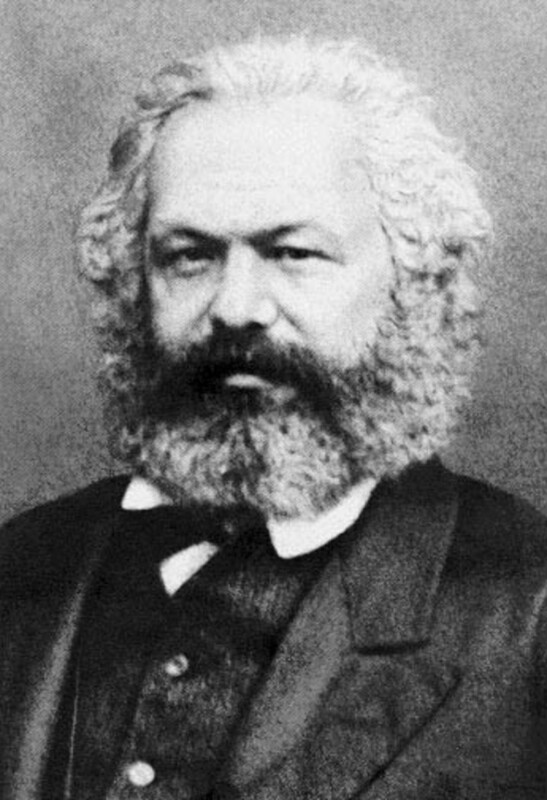 The ideas espoused by Marx greatly criticized capitalism and its dehumanizing effects, all while promoting the ideals of communism which he felt would remedy the problems inherent within capitalist society. 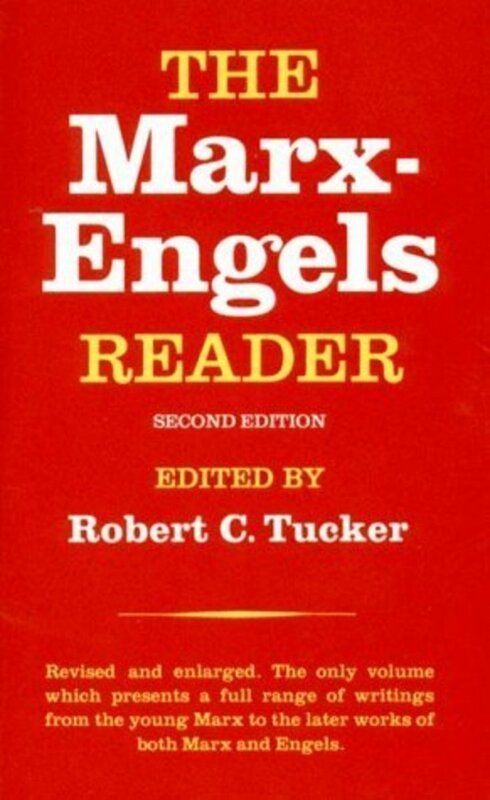 This article, in turn, seeks to address Marx’s ideas concerning capitalist society and the ways in which he believed communism offered a practical means of overcoming the forces of capitalism. In doing so, this article primarily seeks to demonstrate the ways in which Marx’s philosophy might relate to issues facing today’s current society. To understand how Marx’s theories relate to modern society, it is important to first give a general overview of Marx’s philosophy. Karl Marx’s criticism of capitalism revolved around the dehumanizing qualities it brought upon the working class/proletariat. To Marx, capitalism’s promotion of profit created an atmosphere of tension between the bourgeoisie and workers since company owners often overworked and underpaid their employees in the pursuit of money. With the arrival of factories and machines during the Industrial Revolution also came the assembly line, which allowed for the mass production of goods through a division of labor between the workers. While Marx agreed that the large production of quality goods was certainly a positive aspect of the Industrial Revolution, he was highly critical of the negative impacts that factories and assembly lines had upon the proletariat. The long and tedious hours, he felt, completely robbed workers of their humanity. This notion is reflected by the Japanese in modern society. Due to the long and monotonous hours they are subjected to, Japan’s worker suicide rate is among the highest in the entire world. In addition, the division of labor further demeaned the working class as it robbed workers of having pride in their work since they did not build the entire product. By having no pride/arête in their work, Marx believed that people within the capitalist society were, at their basic level, unable to experience true happiness. In addition to the dehumanizing effects of capitalism, Marx argued that the capitalist system induced a great divide between the rich and poor throughout society. As Marx states: “Society as a whole is more and more splitting up into two great hostile camps, into two great classes directly facing each other: bourgeoisie and proletariat” (Cahn, 583). As Marx argues, this divide has existed in each of the economic systems seen throughout history, and was especially prominent during the feudal period through the Industrial Revolution. Through his “dialectical materialism” model, Marx states that societies follow a pattern similar to G.W.F. Hegel’s concept regarding “dialectical idealism.” Once a new economic system is introduced into society, individuals start on the same socio-economic level. Over time, however, Marx believed that growing gaps and conflicts between the rich and poor would eventually collapse the system once the divide between the two became too large. Once an economic system fails, Marx states that a new and improved economic system would replace the old one. As Marx argued, people would learn from their mistakes and try to improve on problems encountered within the old economic system. As he states, this cycle repeats over time and is eventually perfected, resulting in a classless, utopian society where social tension no longer exists. As Marx describes: “In place of the old bourgeois society, with its classes and class antagonisms, we shall have an association in which the free development of each is the condition for the free development of all” (Cahn, 594). Prior to the establishment of a utopian society, however, Marx believed that a revolution from the working class would occur once the gap between rich and poor became too great within capitalist society. Marx believed that this worker’s revolution would help bring about an end to capitalism once the “dictatorship of the proletariat” was established. Marx believed that the only way to reach a classless society was through the abolishment of all capitalist establishments and principles that he felt were unjust and unfair to the working class. Through the guidance of the vanguard, which was composed of higher minded (and enlightened) communists, the remnants of capitalism (i.e. the bourgeoisie and their institutions) would be eradicated through reeducation and the withering away of the state. To a certain degree, this notion of the vanguard was somewhat demonstrated by Joseph Stalin during his reign over the Soviet Union, and the Khmer Rouge during their takeover in Cambodia. Through the elimination of capitalist institutions, Marx argued that money, marriage, nation-states, religion, and forms of entertainment (the spectacle) would have to be done away with. When one considers how much power and influence these various elements of society have upon individuals, it is easy to understand why Marx wanted them done away with since they each have the potential to cause either great division or oppression which would be detrimental to his idea of a classless and perfect society. His belief that marriage should be abolished is particularly interesting, however, as he felt that relationships between couples was similar to a factory relationship between the boss and their employees. Marx believed that the husband would reiterate his poor treatment within the factory towards his wife and family by mistreating, abusing, and treating his wife as unequal. Modern and current definitions of domestic violence and the unequal treatment of women expressed by the feminist movement largely reflect the sentiments espoused here by Marx. Overall, elements of Marx’s theories regarding capitalism seem to be thriving in today’s society. This is particularly true when one considers the amount of corporate greed and exploitation of workers that occurs in the modern day. One of the harsh realities facing our current society is that capitalism still creates an environment of unequal opportunity and a plethora of greed among company owners and the rich just as Marx stated was true during the Industrial Revolution. For this very reason, Marx believed that working-class individuals should receive a larger share of their company's money due to their hard physical labor. Using John Locke’s “labor theory of value,” Marx believed that the proletariat deserved a larger share of the profit since they performed the majority of the work that goes into producing various commodities. As seen with most corporations, however, this notion expressed by Marx is rarely put into action and is a cause of concern and anger for many working-class individuals. As Marx states: “It is true that labor produces for the rich wonderful things—but for the worker it produces privation” (Cahn, 571). The minimum wages earned by workers in today’s society largely reflects Marx’s idea regarding subsistence wages since they barely provide individuals with enough money to cover bills, and day-to-day living expenses. As he argues: “No sooner is the exploitation of the laborer by the manufacturer over, to the extent that he receives wages in cash, than he is set upon by the other portions of the bourgeoisie, the landlord, the shopkeeper, the pawnbroker, etc.” (Cahn, 587). In this sense, Marx argued that the wages earned by the working-class are, essentially, "slave wages" in that they do not allow individuals to have a decent living after expenses. Because capitalism is based around the idea of maximizing one’s profit, however, gaps between the rich and poor continue to grow in today’s society and greatly resemble the arguments presented by Marx in regard to social inequality. Greed, just as Marx describes, appears to be a major driving force into today’s society for many companies and employers. As such, the rich continue to exploit the labor of their workers and watch their salaries steadily rise. Meanwhile, the poor only seem to be getting poorer as unemployment continues to fluctuate for many, all while their wages remain at the bare minimum. Recognizing the benefit of third world countries, many companies have even moved their factories overseas where they are able to exploit the working class to the fullest potential since minimum wage is not mandated. Other elements of Marx’s theory that relates to modern society can be seen with the current political debates over the role of government and the taxation of the upper class. Marx’s promotion of a government that controlled all aspects of society and his belief that the rich should pay higher taxes than the lower class is a debate still argued between Democrats and Republicans today. Democrats tend to favor more governmental programs such as universal healthcare coverage and welfare, while Republicans tend to promote legislation that limits the federal government and their presence within day-to-day affairs. Finally, whereas Democrats tend to favor tax brackets that would require richer Americans to pay more taxes overall, Republicans tend to favor tax breaks for the rich. Which one is most correct in their beliefs remains to be seen. Given Marx’s theories and beliefs, however, it is obvious that his ideas align more closely to the Democratic party of today. While the revolution of the proletariat never occurred like Marx anticipated, it is quite clear that many elements of his philosophy are abundantly seen in today’s society. Many argue that the collapse of the Soviet Union and the failures of communism during the 20th Century are reason to believe that Marx’s theories were inadequate and irrelevant to modern society. But is this really the case? If one closely examines the communist regimes of the 20th Century (such as the Soviet Union and China), it becomes apparent that the principles promoted by leaders such as Joseph Stalin did not follow Marxist ideals, entirely. While Stalin portrayed himself as part of the vanguard during the communist revolution in Russia, his policies never followed Marx in that the state never withered away. 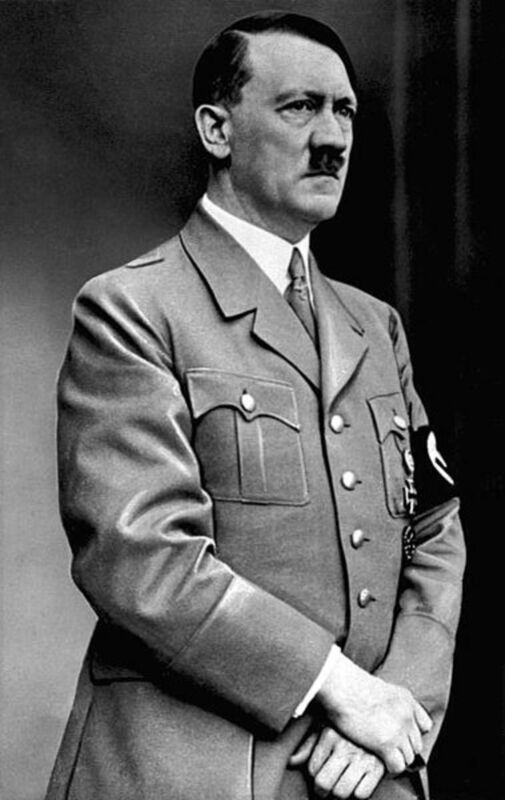 Rather, the state only became more powerful as Stalin sought to increase his power and control over his subjects. Instead of eliminating elements of the bourgeoisie and capitalism, Stalin chose to eliminate anybody who stood in his way. This style of ruling was apparent in nearly all of the communist regimes of the 20th Century. In this sense, therefore, it seems highly logical to conclude that no true form of communism that closely follows the ideals of Marx has existed within the world. As more modern countries begin to adopt more socialist elements within their government, however, perhaps more elements of Marx’s philosophy will be followed in the years to come. In closing, the biggest problem with Karl Marx’s theory lies with the fact that he did not take into effect the concept of human greed within his philosophy. While many aspects of Marx’s theory sound good on paper, applying them to the real world is problematic as his theories are far too idealistic. Greed is an inescapable aspect of human nature, and is a characteristic that capitalism has been capable of exploiting quite well over the last few centuries. Capitalism, in my opinion, is successful since it is more realistic and avoids idealistic qualities. While it is certainly not a great system, elements of profit motivation as well as supply and demand make capitalism one of the few feasible options for current economies. Only time will tell if feasible enhancements can be made to the current economic systems of the world. 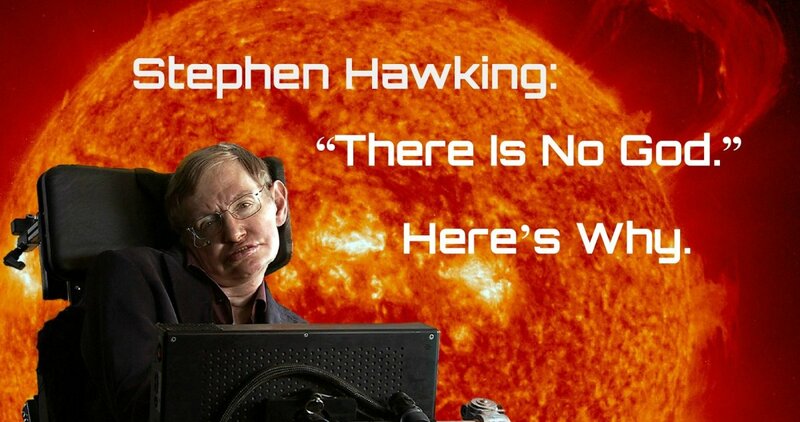 Cahn, Steven. Political Philosophy: The Essential Texts 2nd Edition. Oxford: Oxford University Press, 2011. Print. McLellan, David T., and Lewis S. Feuer. "Karl Marx." Encyclopædia Britannica. July 27, 2016. 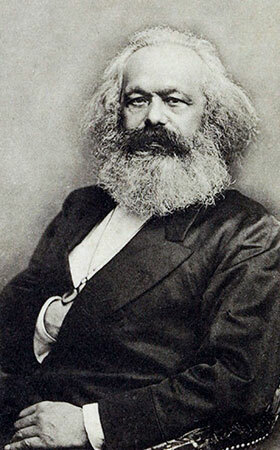 Accessed November 20, 2017. https://www.britannica.com/biography/Karl-Marx. Glad I caught this one. I am working recently in the area/cross sections of "commonality" "conformity" and "communal". I know you center on East European concepts. But I think Ho Chi Minh is a great way to see how he touched the whole world. Minh thought it could happen in an agrarian nation and did not need industrialization to spark it. And yet his "declaration of independence" while in search of communism is fully adopted of Countries such as France and the US. Sorry for the rant, but I just love this stuff. 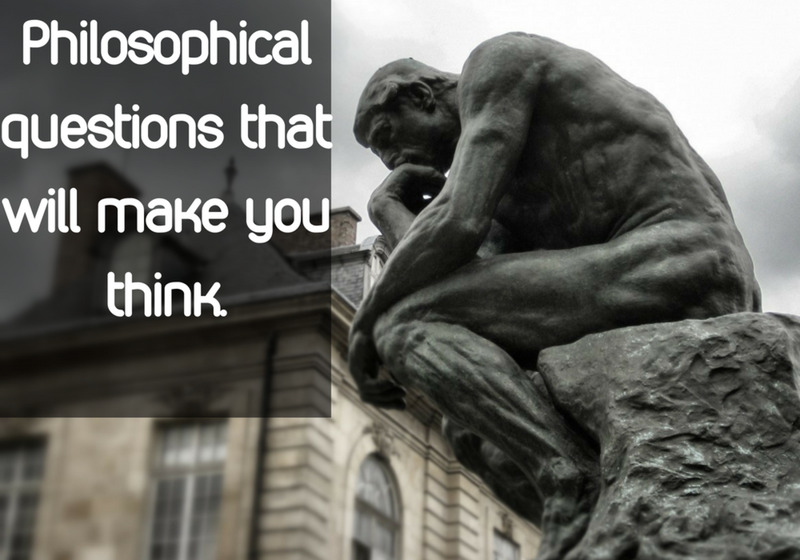 Thanks for spurring thoughts. There's nothing wrong with giving the devil his due. He made a pretty thorough diagnosis of the problems that exist within capitalist societies but failed to acknowledge that its the best way to stimulate innovation and keep the most qualified surgeons in hospitals. It's always good to beware of doctrines that boil the structure of society down to one or even several things. It's not just about power and exploitation. It's so much more complicated than that. People get so wrapped up in Marxism but skip over the fact that certain schools of thought, like postmodernism for example, are actively resuscitating Marxist doctrines using the same power principles. It's even more pernicious because it draws out the worst aspects of Marxism but with different labels. A "new and improved" philosophy that pits the have's vs. the have-not's. And the instantiates of such musings came out with this garbage the moment the rest of the world realized how murderous Marxism turned out to be in the 1970's. It's saturated the American universities ever since and now we see the ugly resentments of the early 20th century rearing its ugly head once again. I agree that greed is inescapable, but I do like Marx's idealism. I do not think anyone needs several million to billions of dollars. I really think it should be a crime to hoard money this way. But, that's just me, lol.